Agricultural internships are an important step towards finding a job after graduation. Internships help you learn about companies in your field, help you develop your own professional working skills, and provide an opportunity for hands on experience. Learn how to apply, where to apply and all the benefits of agricultural internships. Gaining real world experience is an important factor in finding a job. Internships are great opportunities to gain experience in the field, learn about yourself, learn about companies you might want to work for, and possibly land a job after graduation. As you move forward to achieve your dream of a career in agriculture, an internship is highly recommended. International students can find internships in the United States, as well as back in their home countries. Agricultural internships are available with companies all over the world. Internships are like a test drive; they allow you to try out the company and the job, for a summer or a semester, before making a final decsion about what you want. Internships are great ways to build one’s resume, make professional connections, and get recommendation letters to use for future job applications. The question is: when should an international student studying abroad in the United States of America start looking into getting an internship? More students get an internship during the summer between their junior and senior year in college. When researching companies, students will find that most, if not all, require the applicant to be 18-30 years of age. Companies generally require that the applicant be studying in a field pertaining to the internship and have completed two years of undergraduate courses before applying. Each company has their own requirements an applicant must fulfill. When researching internships, an international student needs to look at several aspects of the company. First, find out what the company does. Then find out if the company offers internships. If the company does offer internships, find out if they are summer agricultural internships, semester internships or yearlong internships. You will also want to know whether the internships are paid, unpaid and college credit equivalent. Some international students might want to study back in their home countries. 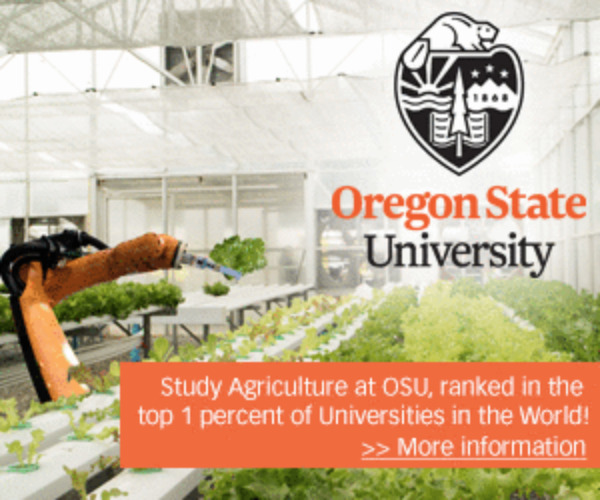 This is not a problem; agricultural internships can be found all over the world. Communicating for Agriculture Exchange Program is an organization that sets up internships in over 50 different countries. These agricultural internships can range from three months to an entire year. This is the largest internship pool with around 20,000 interns yearly. Applicants have the opportunity of being placed in rural areas as well as in major agricultural companies. This program goes out of their way to match an applicant to an area and company that will meet the applicant’s specific needs. Agricultural internships can be found with a food company, a lab studying genetics, an amusement park doing a great deal of horticulture, on an organic rural farm or even designing software to help make farming easier. Internships can be in the United States, United Kingdom, or virtually anywhere else in the world. When looking at applicants, employers want to see that you have not only learned the materials necessary in your field, but know how to apply them practically. Internships offer a chance to try out companies and see if you might want to work for them down the road. Whether looking for a summer or semester long internship, it is important to research the company before, apply early and have an open mind to developing skills, professional work habits and professional connections.